The Human Brain is a very carefully structured, complex organ located securely within the skull and is usually the Boss that runs the whole show. Therefore, when abnormal and uncontrolled growths of cells develop in the brain or the vertebrae through which the spinal cord passes, it results in a very serious condition called Brain Cancer. Cancer of the brain can develop within the primary brain cells, or from the cells within the membranes or blood vessels in the brain or in some cases, cancerous cells present in other organs in the body can travel through the bloodstream to the brain and cause metastatic brain cancer. 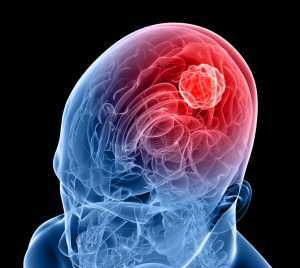 Tumors in the brain are inherently life-threatening because the anomalous mass in the brain can lead to increased pressure within the space inside the skull and distort areas of the brain, interfering with its functions and call for immediate medical attention. Other environmental carcinogens like chemicals used in the rubber industry, oil refineries etc. 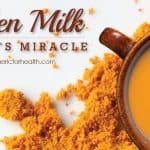 A rhizomatous herbaceous perennial plant called Turmeric, which is native to the southeastern part of the Indian subcontinent, has gotten the medical folks making plans for a new weapon in the battle on cancer. 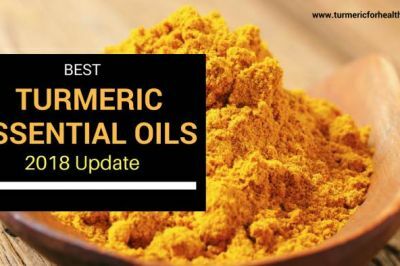 This mustard yellow herb has a particular polyphenolic compound called curcumin that plays an active role in the destruction of cancerous cells. 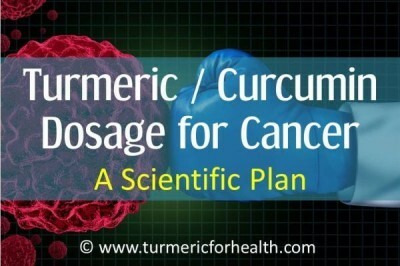 Extensive research over many years has given substantial proof that curcumin triggers various cell signaling pathways that suppress and destroy the growth of cancerous cells. Being the incredibly intricate and marvelous structure the human body is, it has a certain highly specific permeability barrier called the Blood-Brain barrier, which separates the circulating blood from the brain’s extracellular fluid. This selective permeability acts effectively and prevents the entry of most small molecules and microorganisms in the bloodstream into the brain, thus, shielding it from infections. Under such selective conditions, when most molecules are forbidden from crossing this barrier, Curcumin is capable of traversing the blood-brain barrier and efficiently acting on cancerous cells ! In vitro studies have shown that in a certain rare type of cancer called glioblastoma; curcumin triggers certain cell signaling pathways that destroy the growth of glioblastoma cells and also turns off the signal that protects the glioblastoma cells, thus, allowing the cell suicide process to destroy the cancer cells effectively. Every cell needs blood for its growth, without which it would perish. Curcumin acts as an angiogenesis inhibitor. I.e. it prevents the growth of any new blood vessels around the metastasized cells, thus preventing blood supply to the tumor. This lack of blood inhibits the proliferation of cancer cells and also destroys them. In the case of cancer in the pituitary gland, curcumin inhibits the excess secretion of the pituitary hormones by the tumors and also slows down the growth of the pituitary tumor. 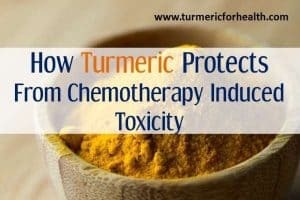 Certain oncology reports also suggest that curcumin, when combined with chokeberry extract, can inhibit the spreading of malignant cancer cells and also cause cancer cell death. Animal studies have revealed that curcumin effectively prevents the initiation of a tumor and also induces cell death in a common type of pediatric brain tumor called medulloblastoma . Destroys mutated cells quickly so that they do not spread throughout the body. 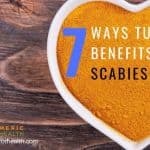 It also has anti-inflammatory effects. This could provide relief in relieving the intracranial pressure in the brain due to the development of a tumor. 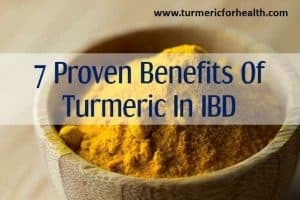 Curcumin is not easily absorbed from the intestines into the blood. It is usually expelled from the body within 4 hrs of ingestion. This requires turmeric to be consumed in large amounts for it to be of use. 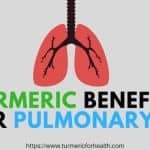 Instead, curcumin could also be consumed along with certain supplements that would assist the function of turmeric and also help in the absorption of turmeric by the body. It is recommended that turmeric is consumed with a tablespoon of olive oil or a sprinkle of black pepper to help with the same. Consuming a healthy amount of turmeric in every day’s meals can greatly help the body from metastasizing tumors. 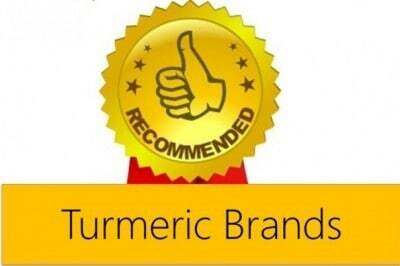 A regular dosage of 100% certified organic turmeric with at least 95% curcuminoids is recommended for intake. 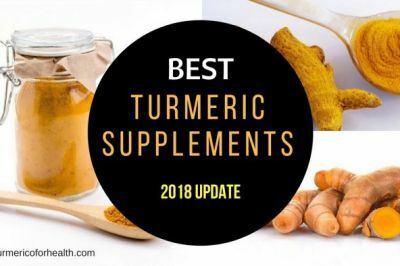 Turmeric supplements for adults have been well studied and established. 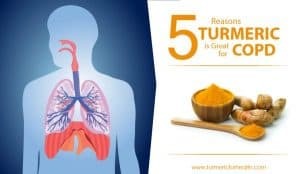 With standardized Curcumin powder, 400-600mg can be consumed 3 times a day. 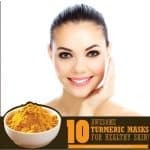 Turmeric consumed in the form of powdered dried roots should be consumed only once a day with the dosage ranging between 1 and 3 grams. Any turmeric supplement should, however, be checked with one’s physician for the correct dosage and type of extract to be consumed. This mainly is to avoid undesirable interactions with other drugs that may be consumed parallelly for cancer treatment. Turmeric prevents platelet aggregation in the body and increases the risk of bleeding by acting as a natural blood thinner. Therefore, people suffering from bleeding disorders should avoid consuming turmeric. Turmeric in large amounts can also cause an upset stomach and in extreme cases, excess consumption could lead to stomach ulcers. So, it is advised that one consults with one’s Physician regarding the dosage to be consumed safely for one’s condition. Turmeric is known to lower blood sugar levels. So, when combined with other medication, say, diabetic medications, it could interact with the drugs leading to a hypoglycemic condition in which the blood sugar level falls below normal. It is advised that patients suffering from diabetes talk to their doctor before setting on a regular dosage. 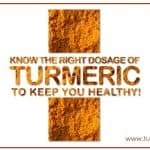 High turmeric consumption is found to aggravate existing liver and gallbladder conditions. Hence, it is not advisable to patients with gallstones or obstruction of bile passages to consume turmeric. Although turmeric is considered safe with foods, Pregnant and lactating women are advised against taking turmeric supplements. Curcumin can interact with other drugs and cause undesirable metabolic effects. 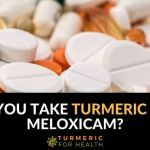 People on non-steroidal drugs, Blood-thinning medications, and drugs that reduce stomach acid should always consult with their healthcare provider before taking turmeric. 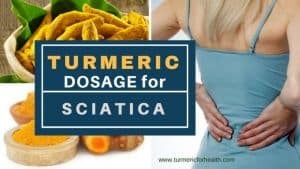 My astrocyma was removed 4years ago can turmeric help me? – Neurosurgeons tell me a repeat surgery in my case is not possible the transphenoidal way because of the location of the cells and transcranial would be the only approach used in this case. SO I AM STUCK WITH NO CURE for my tumor ..excessive weight gain and a painful hip undergone avascular necrosis. I have been reading about the benefits of cannabis oil, however since it is not legally available in India, I cant use it. Will curcumin supplements help me in my condition? and in what dosage? Curcumin supplements can increase the weight loss outcomes of diet and exercise. Hi. We aren’t really sure about that the interactions of turmeric and cannabis oil but we will definitely look into this. Till then you can stick to olive or coconut oil. Hi, what would be the turmeric dosage for my child who has just had a medulloblastoma tumor removed and is about to go through 7 weeks of radiation and then 7 months of chemo. Advise needed please. My mother was diagnosed with a brain tumor on Jan 2 – glioblastoma stage IV. They cannot do surgery as it is near her cerebellum. She is halfway done with daily radiation treatments & is taking chemo pills and steroids. All the research I’ve done & info I’ve gathered doesn’t sound too optimistic – not much improvements with this kind of treatment, but seems to extend life some, thankfully. 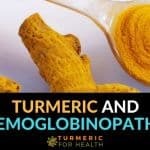 Not sure if my mom could take turmeric because of the blood thinning effects. I bought some, but will ask her doctor first. One thing that I’ve been hearing a lot about is cannabis oil and medical marijuana. If you look on YouTube and google documentaries on brain cancer and cannabis oil you’ll find a lot of interesting info. My wife is currently undergoing radiation and chemotherapy using Temozolomide taken by mouth for her GBM. By her 20th radiation treatment, she was exhausted tired and slept most of the time. After her 23rd radiation treatment, she was so tired when finished all she wanted to do was to lay down. When we return for her 24th treatment day, her doctor decided it would be best if we stopped treatments for a few days and prescribed a 400 mg dose of a steroid Dexamethason twice a day. After three days, I noticed no improvement in her condition, so I started giving her Mangopickle and a Turmeric supplement twice a day.Within two days, she stopped her all day sleeping and started resuming some of her tasks that she normally performs, by the fifth day she was getting around fairly well, and I had no trouble getting her out of bed or waking up. I also notice for the first time that her appearance of her facial features have started to return to what she looked like before her GBM diagnosis. She has one more treatment of radiation left to do. I am of the opinion that the mango pickle and turmeric supplement were the reason for her sudden drastic improvement, although I cannot definitely prove this. The reason being, the Dexamethason ,and Temozolomide was not stopped. Mango pickle is available at Indian, and Asian food stores. The brand that we use was Mother’s Hot The supplement used is LIFE EXTENSION -Advanced Bio Curcumin. Thank you for sharing this. I am “lucky” in that my brain cancer is a more benign kind: oligodendroglioma. I took the radiation by itself, which just ended. I am coming up on 9 months of the chemo in a couple of weeks. This is good stuff to know, because I really have been hitting the “tired zone”. I just returned to adding turmeric as a spice to all my food, but may also take it as a supplement. Hello. 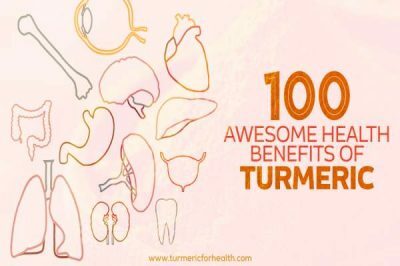 I hope there are others that have found good results with turmeric. My mother was diagnosed with glioblastoma Sept 2014 and has had a few surgeries since and now has been directed for hospice care, however, I still want to try anything that may help her. She is also open to this. Does anyone have testimonies of the benefits any advice on what to do next? Thank you very much. 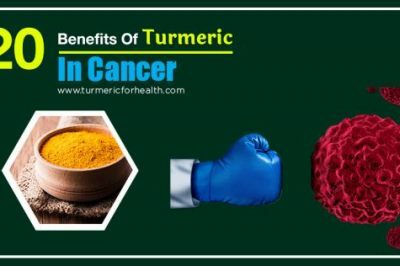 Turmeric is a potent anti-cancer agent and also holds benefits like improving immunity, preventing cancer, protecting from side effects of cancer treatment. You could include small doses 1/2-1 tsp of Golden Paste in her diet. 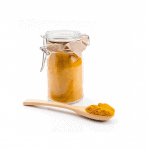 Apple cider vinegar can be taken with turmeric but not necessarily with the golden paste. High doses of almost anything has a side effect. Its best to take turmeric in moderation. 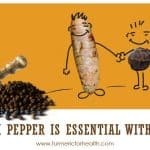 Black pepper increases the absorption of curcumin and hence therapeutic efficacy. Hi all – need your help. Mom has brain cancer – GBM – been taking golden paste for 2 weeks but finishing up radiation (finished Thursday whoohoo) and immune system is shot. Her WBC is down to 0.2, and platelets running high of 100,000 to low of 10,000 – had two platelet transfusions in past 2 weeks. Being given a Neupogen shot once a day to stimulate her bone marrow and WBC. 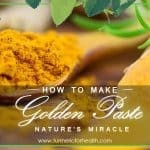 She wants to make a new batch of golden paste and start again but my sister read that turmeric may thin the blood. Does anyone know? Her Oncologist was on board with the paste – but her counts were higher then. Any comments welcomed. We will ask doc on Tuesday when we see her. Thanks to all! Hi v grille! We are in the same boat. My dad has glioblastoma that returned with a vengeance. 7 months ago he had the surgery and chemo/radiation that kept it at bay for a few months. He has now started avastin as long with more steroids and is not showing any improvement at all. Lots of hallucinating, unsettledness and obsessive w o worrying, not to mention not sleeping at all. We are going to start tumeric tomorrow. I am impressed with what I have read so far. How is your dad getting on with the turmeric?